In another last minute Decision I'm taking the Beemer for a lap of Tassie to really complete the round OZ concept. Leasky is coming along and this time were doing the western explorer, a dirt rod down the west coast. 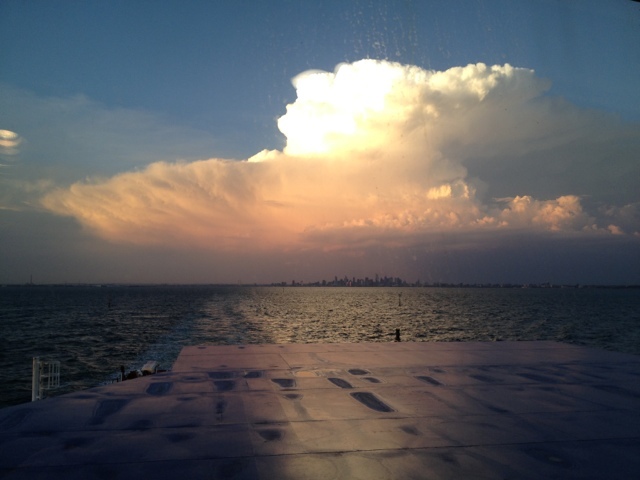 Boarded the spirit Tassie around 6:30 and now watching Melbourne disappear in the distance under a spectacular electric storm.